One of the best sleep materials AvailableDiscover the amazing properties of bamboo charcoal paired with zoned dough technology. Z brings the best of memory foam and infuses it with bamboo charcoal for one of the best sleep materials available.Superior Thermal and moisture RegulationBamboo charcoal is highly absorbent; it takes moisture from humid air then releases it during dry conditions for better temperature regulation. It can also absorb unpleasant odors, giving your sleep a clean and fresh feel. Along with its moisture regulation, bamboo charcoal has superior thermal regulation, perfect as a year round pillow. 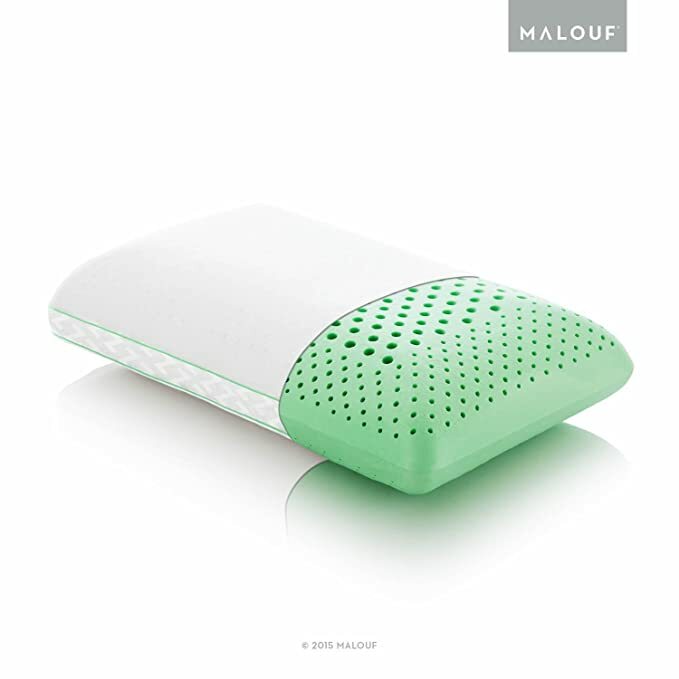 Bamboo charcoal is also hypoallergenic and ideal for sensitive skins.Zoned Technology provides ultimate SupportZ takes the natural benefits of memory foam and combines comfort and support by way of a zoned pin-core design. Simply stated, there are two comfort zones in this pillow. The center of the pillow has larger holes to provide optimal comfort for your head, while the outside of the pillow uses smaller holes to support your neck and correctly align your spine. 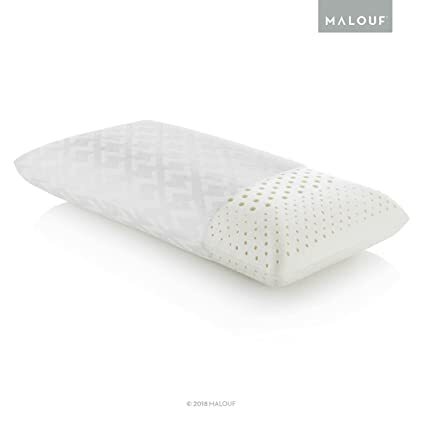 These pin-core holes have the added benefit of increased airflow.Bamboo Cover and 5 year WarrantyAccompanying this pillow is a luxuriously soft and breathable rayon from bamboo velour cover. The rayon from bamboo is excellentA for sensitive skin and is a great temperature regulating fabric. The cover is removable for laundering, helping you to create a healthy sleeping environment. The 5-year warranty protects the pillow and cover from manufacturer defects. Discover the amazing properties of bamboo charcoal paired with Zoned DOUGH technology. Z brings the best of memory foam and infuses it with bamboo charcoal for one of the best sleep materials available. Bamboo charcoal is highly absorbent; it takes moisture from humid air then releases it during dry conditions for better temperature regulation. It can also absorb unpleasant odors, giving your sleep a clean and fresh feel. Along with its moisture regulation, bamboo charcoal has superior thermal regulation, perfect as a year-round pillow. Bamboo charcoal is also hypoallergenic and ideal for sensitive skins. Z takes the natural benefits of memory foam and combines comfort and support by way of a zoned pin-core design. Simply stated, there are two comfort zones in this pillow. 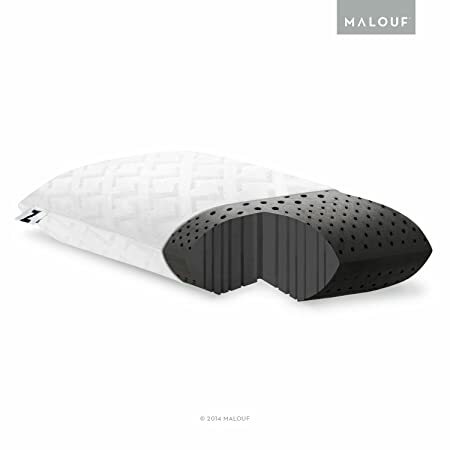 The center of the pillow has larger holes to provide optimal comfort for your head, while the outside of the pillow uses smaller holes to support your neck and correctly align your spine. These pin-core holes have the added benefit of increased airflow. Accompanying this pillow is a luxuriously soft and breathable cover made of rayon from bamboo velour (75 polyester, 25 rayon from bamboo). The rayon from bamboo blend fabric is excellent for sensitive skin and is a great temperature regulating fabric. The cover is removable for laundering, helping you to create a healthy sleeping environment. The 5-year warranty protects the pillow and cover from manufacturer defects. Dough memory foam’s exclusive formulation makes it the softest, doughiest memory foam that is both comfortable and therapeutic. 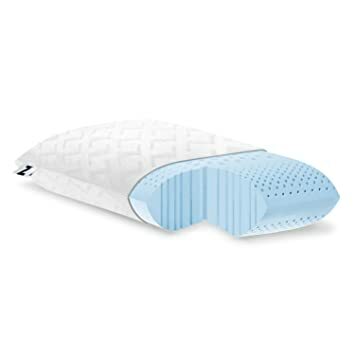 Coupled with the newly released zoned pin-core design, this pillow provides superior pressure relief and can eliminate sleeping pain. Dough formula creates a softer, doughier memory foam pin-core design provides zoned support open cell technology promotes increased breathability & maintains a comfortable sleeping temperature offers superior pressure relief and can eliminate sleeping pain naturally hypoallergenic and dust mite resistant maintains its original form – never needs fluffing luxuriously soft, embossed removable velour cover5-year warranty available in king(35″x16″) and queen(29″x16″) sizes . The exclusive DOUGH memory foam formula makes it the softest, doughiest memory foam that is both comfortable and therapeutic. Coupled with the newly released ZONED TECHNOLOGY design, this pillow provides superior pressure relief and can eliminate sleeping pain. Open cell technology promotes increased breathability and maintains a comfortable sleeping temperature. Naturally hypoallergenic and dust mite resistant, this pillow never needs to be fluffed because it maintains its original form. 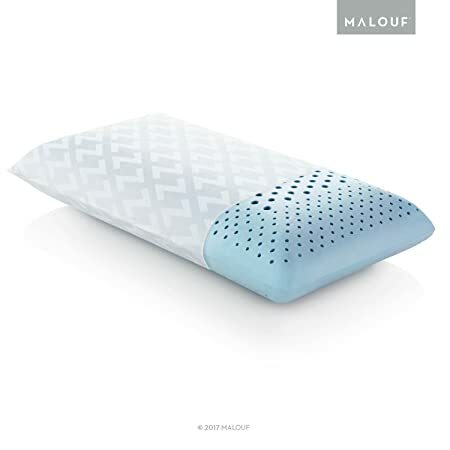 This pillow is completed with a Tencel removable cover known for its moisture-management and temperature-regulation properties that create an optimal sleep environment. Available in king(35″x16″) and queen(29″x16″) sizes. The exclusive DOUGH memory foam formula makes it the softest, doughiest memory foam that is both comfortable and therapeutic. Coupled with the newly released ZONED TECHNOLOGY design, this pillow provides superior pressure relief and can eliminate sleeping pain. Open cell technology promotes increased breathability and maintains a comfortable sleeping temperature. Naturally hypoallergenic and dust mite resistant, this pillow never needs to be fluffed because it maintains its original form. 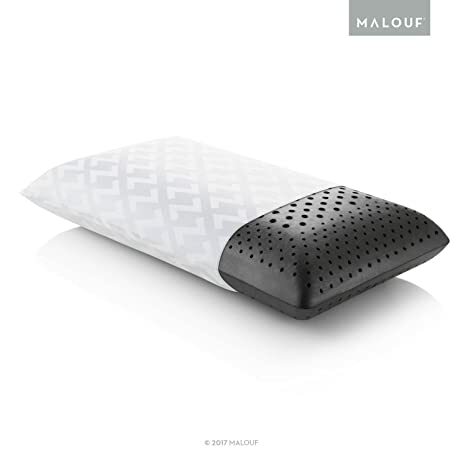 This pillow is completed with a Tencel removable cover known for its moisture-management and temperature-regulation properties that create an optimal sleep environment and is backed by 5-year warranty against manufacturer defects. Available in king(35″x16″) and queen(29″x16″) sizes.